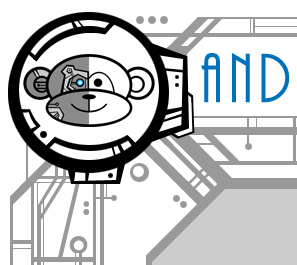 All materials and content, unless otherwise posted, are the intellectual property of © Android Monkey Designs 2015. All rights reserved. Do not use without permission. Can you imagine it? Can you dream it? We can build it! handle. We can whip something amazing together if you have the ingredients. So welcome to our lab. This is where we bring the fantastic to life! consultation for your latest project. switch and bringing things to life!